My last post on this esteemed blog was August 22nd. I'm so consistent it's unbelievable. Even the author photograph over there on the right is out of date by a lot. Those two babies we're holding are just shy of 40 year old adults (or at least they behave like it). So I blew the dust off the the blog and decided we should hop to a somewhat regular posting schedule. I don't know if any of you find the J-Blog interesting/insightful, but it does something beautiful to my soul to be able to write, so this may end up being more for me than you anyway. Another thing that did beautiful things to my soul was our youth group on Wednesday night. I've spent an inordinate amount of time lately focused on the youth ministry side of my job, thanks in large part to being a part of The Youth Cartel's Youth Ministry Coaching Program. I've only been to one meeting with my cohort so far, but let me say this: if you are in youth ministry, beg borrow and steal whatever you need to from your church to be a part of this. 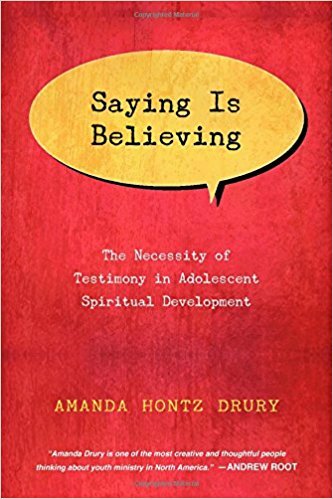 But anyway, I'm reading one of the books that was recommended for us at the last cohort called Saying is Believing: The Necessity of Testimony in Adolescent Spiritual Development by Amanda Hontz Drury. I'm only about halfway through (review coming soon? ), but it's really great. The argument that Drury puts forward that I totally agree with is that testimony is an incredible vehicle for shaping and identifying belief, and that the adolescent season of life is uniquely perfect soil for allowing testimony to do it's work. Now, I hadn't read any of that when we made our plans for Veritas on Wednesday night. We do this one particular "worship night" once a year, where we borrow the farm across the street from our church, play flag football, drink cider, and have a campfire. There is something beautiful about worship when it's outside, around a fire. No screens, no song sheets, no band. Just voices and praise. I didn't even go over with a plan for songs to sing, I just let the kids shout out what they wanted to sing, so long as I actually knew how the song went. It was beautiful. After our usual time of prayer though, we opened it up to hear Jesus stories. Our youth group has traditionally seen Jesus most clearly in fart jokes and funny stories apparently. Either that or they just like laughing. But oh my goodness guys, what I heard from our students on Wednesday night was a youth group thoroughly anchored in Jesus Christ. I'd be lying if I said I didn't feel a couple of tears stain my cheeks along the way. Not even because of the life changing dramatic stories, though there were a few of those. I got a little choked up because these kids are getting pretty dang good at seeing Jesus at work in their lives, and it's an honor to be able to share in that with them in some small way. One of the manifestos of youth ministry these days is to un-program, to do less, to make less of a show of our jobs. For this incredible event on Wednesday, we spent a total of $100 on firewood and cider, and maybe an hour of time getting it together. I would also say that we saw way more growth and impact from our night this week than we ever did in the old days bringing in bands for thousands of dollars and months of planning. I have to be careful here, because good gravy am I lazy. There will be a temptation to do less in all the wrong ways. I think the corrective against laziness though is to be ruthlessly relational in doing less. I don't want to do less just because it will be easier. 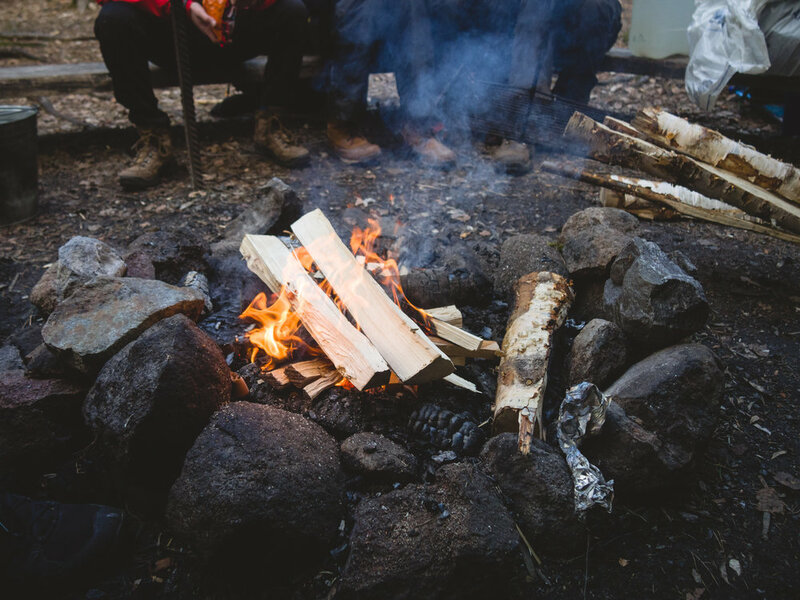 I want to do less because it will free me to hear the campfire stories that these teenagers are telling all the time, with or without the benefit of s'mores. Listen up. It's story time.